When I wrote The Apple Orchard, there were edits. I wanted to give the origin story of the apple, but this was cut from the final book because by the time I’d finished it, The Apple Orchard was the story of my own personal journey of discovery through the English apple year, and this just stuck out in the narrative as something that didn’t belong. It was an important chapter in a book about apples, just not the book about apples that mine had become. 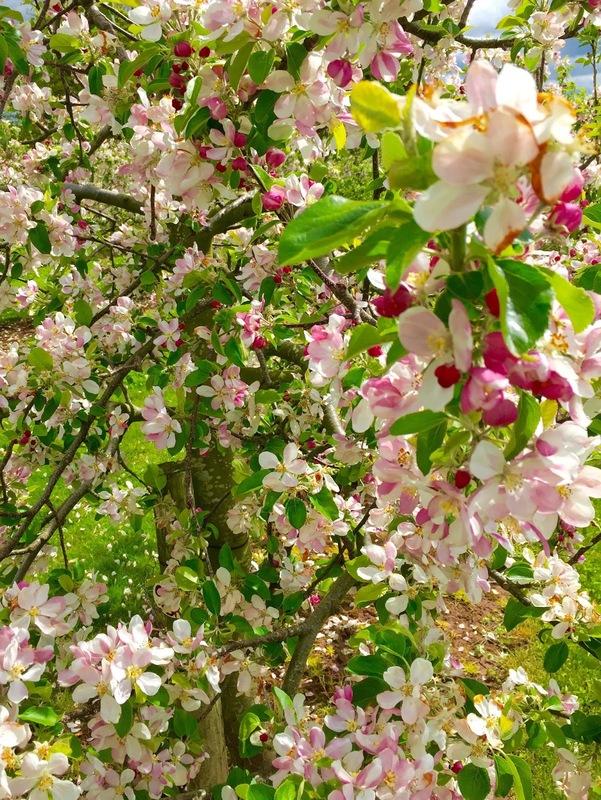 I’ve been saving it for a while but as we’re at the start of blossom time, one of the most wonderful times in the apple year, I thought I’d celebrate by publishing this story here as a long read. 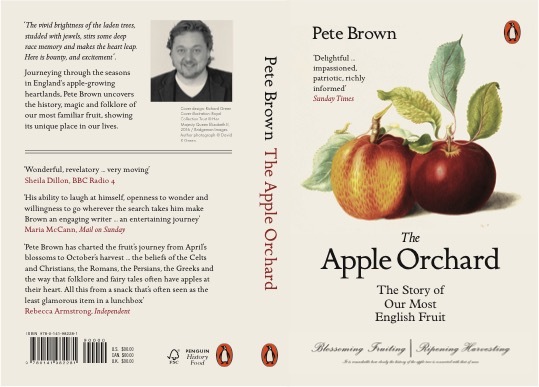 The Apple Orchard has just been released in paperback and should be available now in all good bookshops, as well as here if you don’t know any good bookshops. 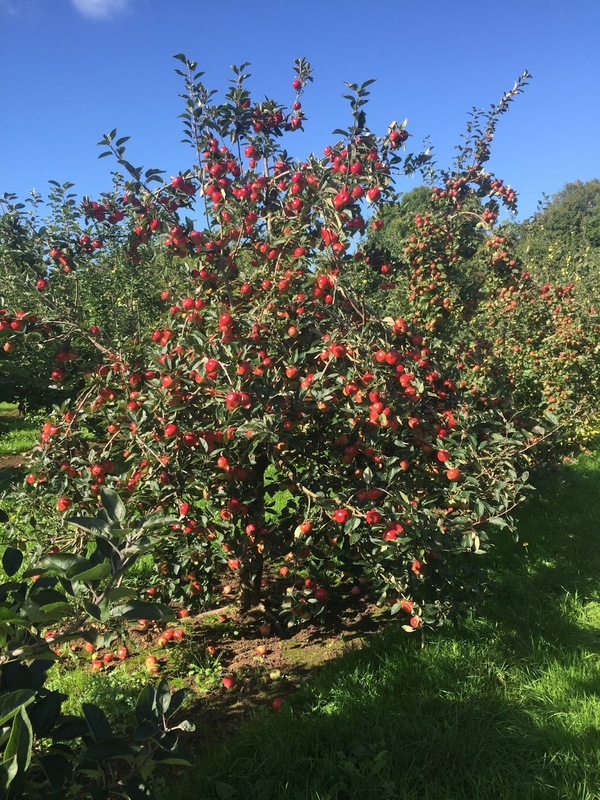 I’m going to be talking about the magic and mythology of the apple at Herefordshire’s Big Apple Blossomtime celebrations on Monday 1st May. Let’s play a quick game of word association. I’ll say a word, and I want you to say the first word that comes into your head in response. twenty-first century, I bet you did. Sacha Baron-Cohen’s fictitious Kazakhjournalist is world-famous. Now let’s try it again, but you need to come up with a different word. the president had golden statues made of himself and placed on revolving platforms to lead the sun? No again, that was next door in Turkmenistan. It was an anarchic, narco-state wasn’t it, embroiled in a permanent civil war? No, that was the fate of poor, blighted Tajikistan. In fairness, our ignorance is hardly surprising. The Russian Tsars closed the country to outsiders during theirexpansion eastwards, and then it was swallowed by the Soviet Union. It was an incredible trick: the ninth largest country in the world simply disappeared. And it’s re-emergence since the collapse of the USSR has had a profound impact on our understanding of the apple. ‘Father of Apples’, and in 1929 the city became the capital of Kazakhstan. largest seed bank in Leningrad. What he found there astounded him. find favour within the Soviet hierarchy. nineteenth century had established the basic principle of genetic inheritance. whom Vavilov had spent time studying plant immunity. began to disown him. His research was cut and he was barred from travelling. hotels, holiday chalets and summer cabins. number of expeditions in the 1990s and was amazed by what he saw. mountains that they were without doubt descended from there. 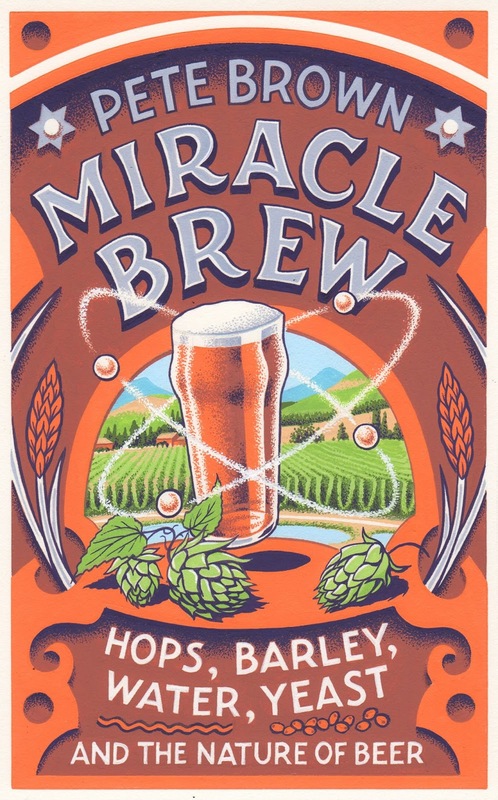 As I’ve written before, I was extremely lucky to find in Pan Macmillan a mainstream, large scale, award-winning publisher who was willing to pay me to write several books about beer and promote them to a broad, general audience. I was in the right place at exactly the right time. After three books that sold perfectly well but didn’t trouble any bestseller lists, Pan Mac asked me to adapt my style to broader subjects and themes. My agent agreed, and it sounded like a good idea to me too. My fourth book, Shakespeare’s Local, was a first step away from beer to broader social history. It was my most successful book launch at that point, and everyone felt they were right to gently encourage me to move further away from beer. Since then, I’ve written books about cider and apples and pubs. But I missed beer writing, and I felt like an idiot that in the midst of a craft beer boom like nothing we’ve ever seen, I was moving away from the subject I loved. Books take a long time to write, and I’ve always struggled to get the period between books to shrink. But now I’m on a bit of a roll. So while this year will see me on the road promoting the Apple Orchard paperback and the new hardback of Miracle Brew, today I signed the contract on my next book, which should see the light of day in autumn 2018! This one is with Penguin again, the follow-up to The Apple Orchard. I had two ways to go from that book: I could develop the whole nature writing theme more, or I could continue to expand from beer into a broader food and drink arena. While there are lots of very good writers in both disciplines, I felt nature was the more overcrowded, and food and drink the one I was more excited about. So I pitched an idea in January, and it was approved and bought quicker than any book I’ve written to date. The roots of it go back at least seven years, when, touring Hops & Glory, I started getting invited to a lot more food festivals and events. And it’s based around the notion that food and drink form a large part of how we see ourselves – and in Britain’s case, point to a very confused and uncertain self-image. It’s a global joke that British food is a bit crap – and Brits are at least as likely to say that as anyone else. When British people do stick up for their food, they usually point out that we have restaurants representing more different international cuisines in cities like London than anywhere else, or that British chefs are modernising and doing fusion with pan-Asian cuisine or ‘modern European.’ If they do celebrate traditional British dishes, they invariably add a cosmopolitan ‘twist’, just so everyone can be sure they’d never do anything as vulgar as simply make a traditional dish really well. There are exceptions to this of course, but the general theme I pick up is that no one is that keen on celebrating traditional British food and drink. It’s why British craft beer fans will denigrate cask ale and British brewers would rather use American hops. Its why Somerset farmhouse cider is laughed at by people who adore Belgian lambic, when it’s almost the same drink in many ways. Its why a craft beer festival that is passionate about showcasing local brewers will have endless food stalls doing mac ‘n’ cheese, Texan barbecue and hot dogs, but not British street food such as pie and peas. It’s why France has more cheeses protected under the European Protected Designation of Origin (PDO) and Protected Geographical Indication (PGI) schemes than Britain does for all its food and drink put together, and why the Department for the Environment, Food and Rural Affairs (DEFRA) still has absolutely no clue whatsoever about how it’s going to protect Melton Mowbray pork pies, Stilton cheese, Herefordshire perry and the rest of Britain’s protected produce once Brexit means they no longer qualify for the EU protections they currently enjoy. And yet, when surveys ask people what their favourite meals are, the vast majority invariably come up with fish and chips, full English (or Welsh, or Scottish, or Northern Irish) breakfast, and Sunday Roast. In terms of consumption, this isn’t true of course: most of us eat Italian, or Chinese, or burgers way more often than we eat these staples. Large swathes of the population are far more likely to go to a faux-Italian coffee chain and have pain-aux-chocolats or croissants, or more recently, the heavily Americanised concept of brunch, than go for a full English. But when asked, these are the meals, along with Devon cream teas, cheese sarnies and bacon butties, that we still feel some patriotic pride about. This brings up the whole issue of multiculturalism – curry has famously become defined as a British dish. But go back far enough, and what is British and what is multicultural start to blur. The first curry restaurant in Britain opened in 1809, only 15 years or so after it became socially acceptable for image-conscious Brits to eat potatoes. With this as-yet-untitled book due out in 2018, this establishes the beginnings of a pattern of annually alternating beer books and books with broader themes. I won’t go as far as differentiating them by calling myself Pete Brown in one strand and Peter S Brown in the other, but I hope it’s a pattern I’ll be able to continue for a few years – I have a very tentative conversation next week about a possible new beer book. I hope at least one of these strands will continue to interest you. Thanks for reading. 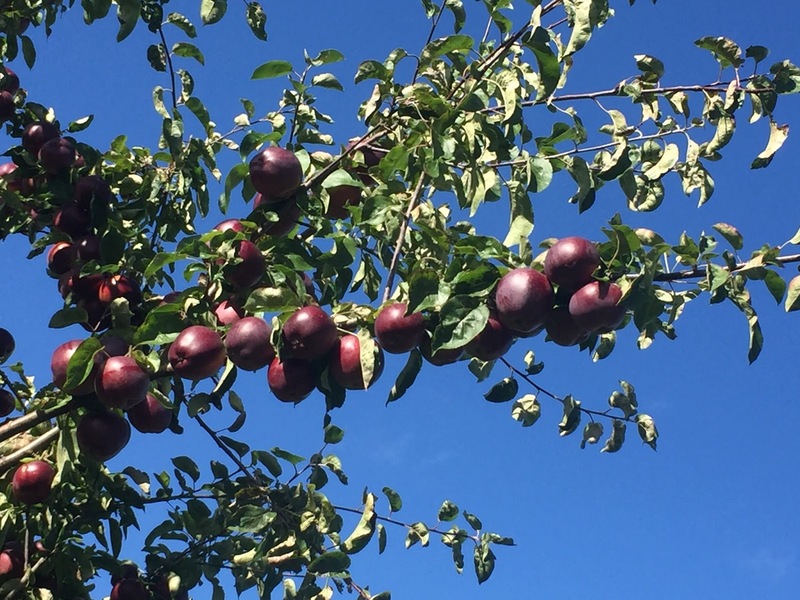 I’m enormously proud, and more than a little nervous, that this morning BBC Radio 4 will be broadcasting the first episode of the serialisation of my new book, The Apple Orchard. My last narrative book, Shakespeare’s Local, was also Book of the Week, so I guess lightning can strike twice. It’s an enormous honour to be chosen. Shakespeare’s Local was read out by Tony ‘Baldrick’ Robinson, who made my words sound about 100 times funnier and more interesting than they read on the page. To follow that up, the producers decided they would like The Apple Orchard to be read by… me. I can talk on radio just fine, but reading out something scripted is an entirely different skill, one I learned quickly in a studio in Glasgow three weeks ago. You can hear the results at 9.45am each day this week, Monday to Thursday. There are many different strands to The Apple Orchard. Most people who know me keep referring to it as my ‘cider book’, and I have to stop myself referring to it in that way still. There’s a lot of cider drunk in the book, and cider production is addressed in detail towards the end, but it’s mainly about the cycle of the apple year, the history and nature of apple cultivation, and the symbolism and significance of this fruit in our lives, what it tells us about systems of belief and how we make sense of the world. That’s an awful lot to fit into four fifteen minute broadcasts, so the abridger at Radio 4 had to choose one thread to follow. He chose to focus on the cycle of the apple year and what needs to be done in the orchard at various times. 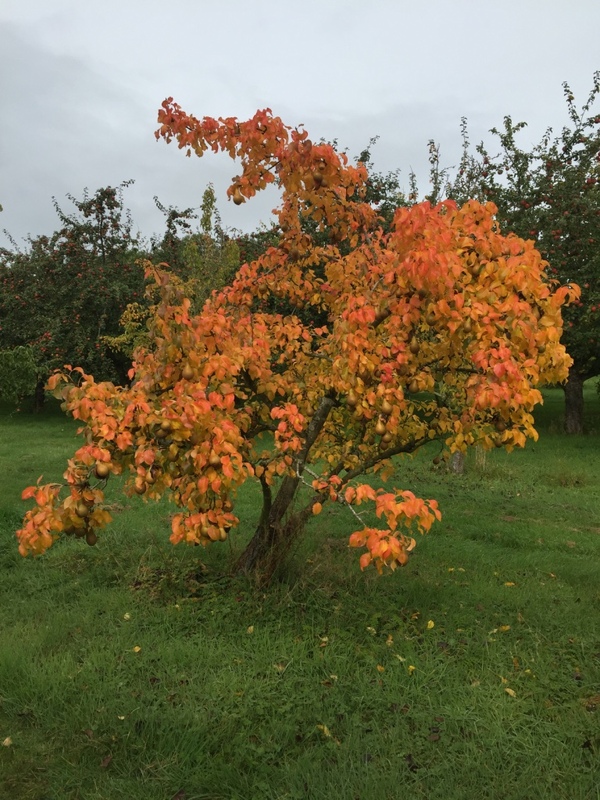 So this week, you can hear about the origins of the apple and how it came to England, how I learn to prune and graft apple trees, and the joy of apple harvest. I think of it as a ‘remix’ of the book, with different elements shuffled around to create something new, simpler and leaner. This seemingly ordinary fruit is in fact one of the most potent symbols in our lives. It was a life-changing joy to unravel its story. If you’re not near a radio at 9.45am, you can catch up on iPlayer by following the link in the screen grab above. 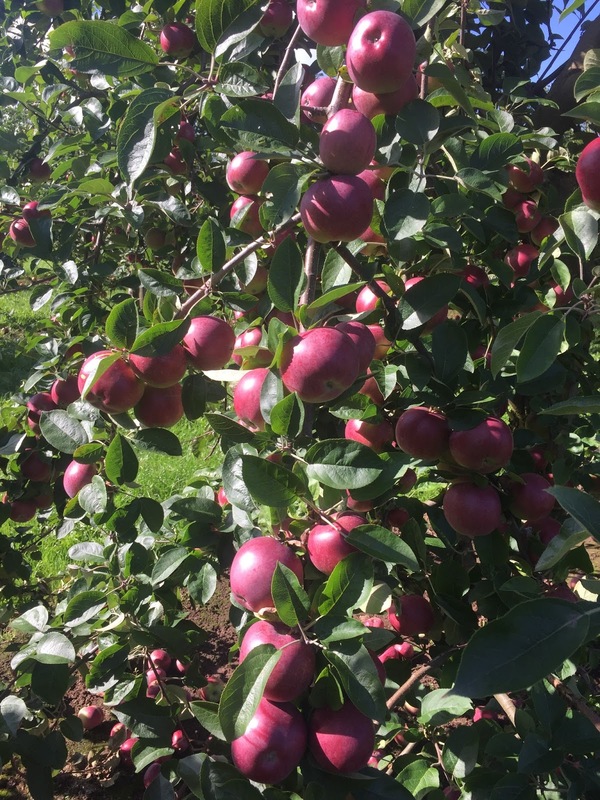 The Apple Orchard will be available for about 30 days. I‘ve been asked a lot if all this means I don’t write about beer any more. I can assure you that I do. I’m doing the final edits to my new beer book this week, which will be available spring 2017. After I’ve finished that, I’ll be blogging all the stuff about beer I didn’t have time to address while I was working on these books. I’m also writing regularly for the Morning Advertiser, Original Gravity and Ferment magazines. The simple pleasures of tramping round an orchard. Autumn is a season of two halves. Both are definitely autumn, but one is summer’s older sibling, looking back fondly, while the other is winter’s harbinger. The change comes almost overnight some time late in October, just before the clocks go back. 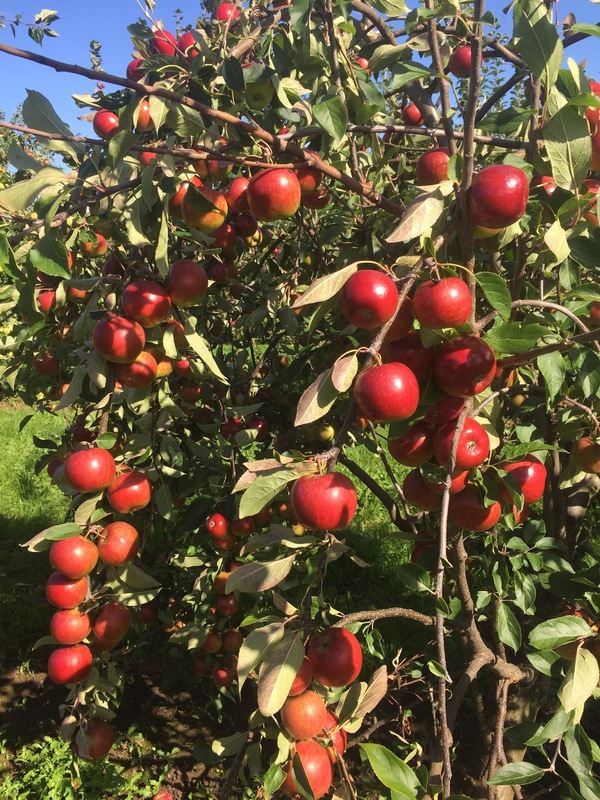 By this time we’ve all been remarking for several weeks that the nights are drawing in and it’s getting a bit chilly, but then, around the 21st – which is, coincidentally (or not) now celebrated as Apple Day – the season finally shifts its weight to the other foot. Before the change it’s all about crisp blue skies with a chill at the edge, the leaves turning and sweaters coming out of the wardrobe. After, it’s mud, rain, bare branches and those recently beautiful golds and yellows and browns clogging the drains and flying in your face. In short, Autumn Part One is a time to be outside. Part Two is the bit where you rediscover the joys of open fires, home baking and soup. Every year, it’s a panicked rush to make sure I enjoy Autumn Part One as much as I can. It’s a very busy time of year with festivals, events and trade shows, and from early September to mid-October I’m invariably living out of suitcase most of the time. 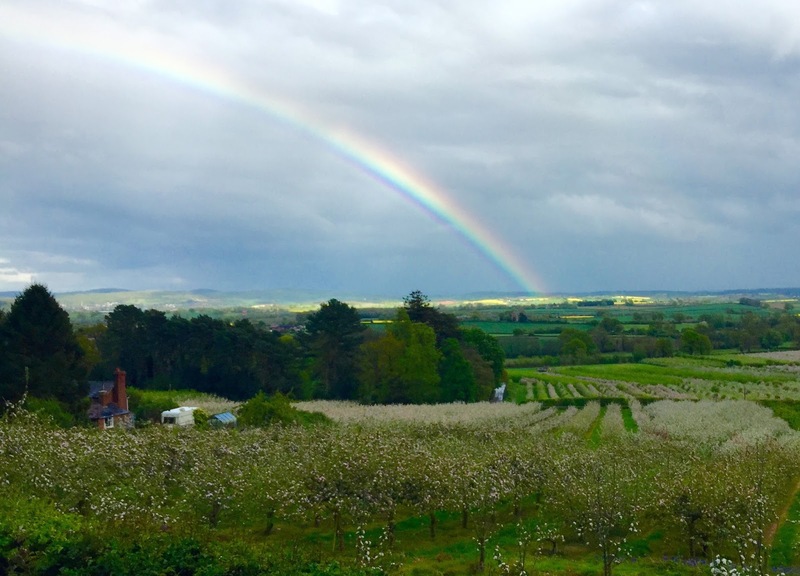 So when Thatcher’s Cider invited me down to Somerset for a walk in their orchards – with no other agenda than simply catching up with each other – I jumped at the chance. Thatcher’s has grown at an incredible rate in the last few years. Many locals still remember when it was a small cider farm, but now it’s a national brand. Thatcher’s Gold is pretty much a mainstream cider now, dismissed by purists but superior to the likes of Magner’s, from which it seems to be soaking up a lot business. It doesn’t appeal to me personally, but there are other ciders within the Thatcher’s range that do, particularly the crisp, satisfying oak aged Vintage. 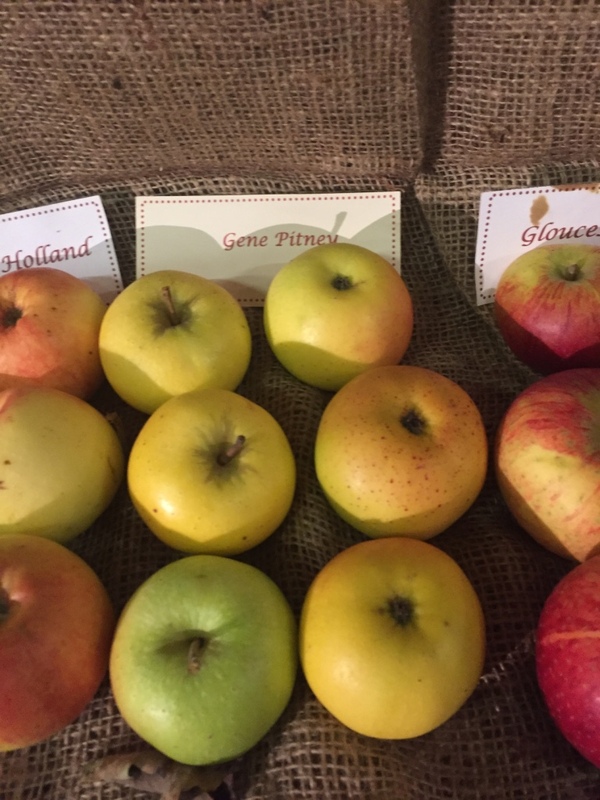 The new special vintage blends of apple varieties, such as Tremletts and Falstaff, are also really interesting. 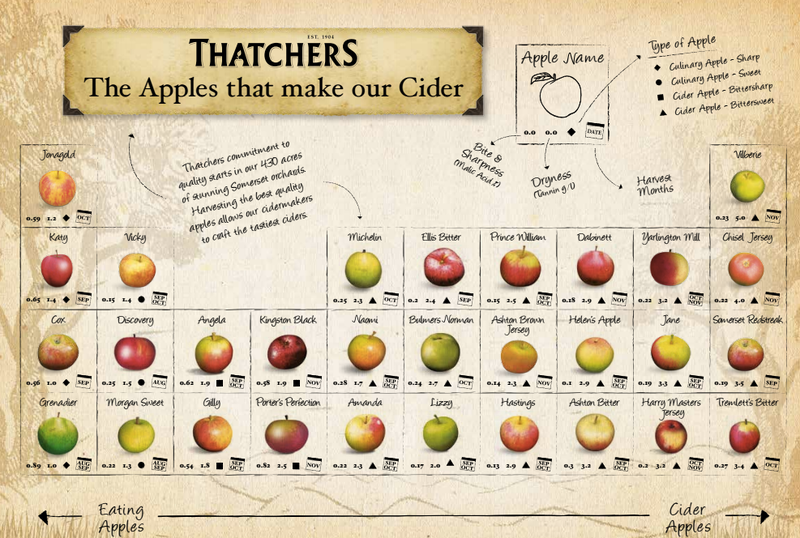 But for me, the most exciting thing Thatchers has done recently is to create a periodic table of the apples they use. I can’t really post a big enough picture of it here to do it justice, though you should hopefully be able to enlarge it. Apart from it being ridiculously clear and informative, and fascinating if you’re an apple nerd like me, this is what the whole cider industry needs to be looking at. Good cider is made from apples. Obvious I know, but bad cider is made from cheap, imported apple concentrate of indeterminate origin. Different apples have different characteristics, just like different grapes or hops. Wine became popular in the UK when people began to discover their favourite grape varieties. Craft beer exploded when people started to learn about different hops. It really doesn’t take a genius to see apple varieties as the key building block for a stable, established premium quality cider market. Between these houses there are over 500 acres of orchards. Martin is currently experimenting with the effects of terroir. 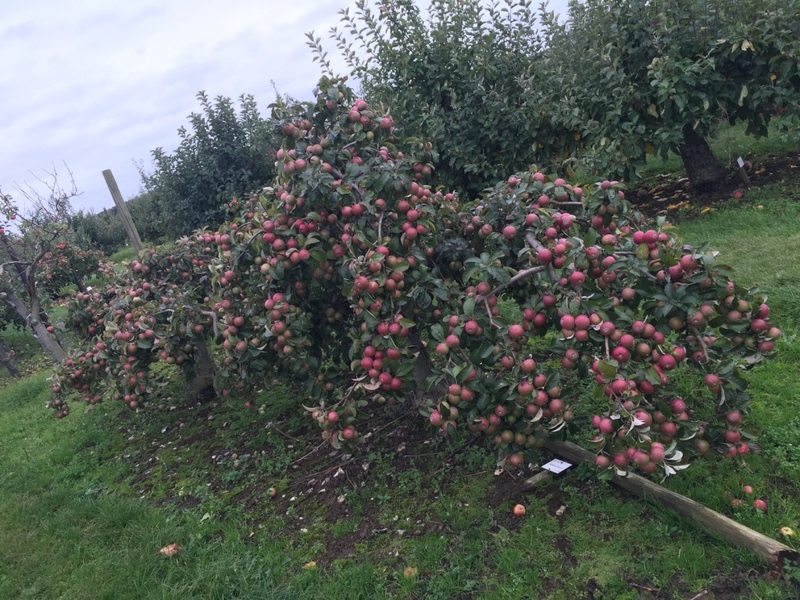 He’s planting stands of the same apple varieties in different types of soil and monitoring the results, and is convinced the fruit will show significant differences. You can see where this hunch comes from down in the Exhibition Orchard. Here there are 458 different cider apple varieties. 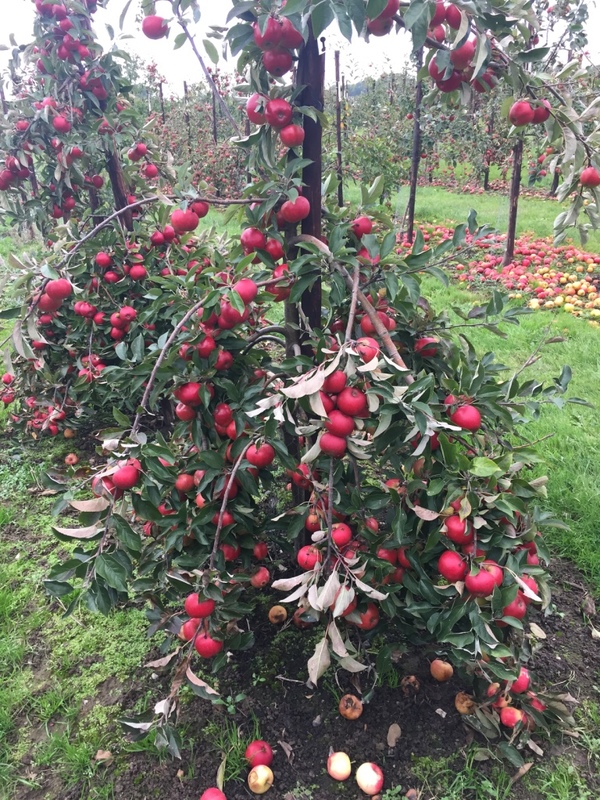 When the Long Ashton Research Station’s Pomology and Plant Breeding programme was disbanded in 1981, Martin’s father John took cuttings from as many different trees as he could and grafted them onto rootstock in his own orchard. It’s just as well he did: the Long Ashton orchards were bulldozed soon afterwards, and a library of old cider varieties could have been lost for ever. Walking around the Exhibition Orchard in a brief but wonderful interval of clear blue skies, I’m compelled to take photos like some kind of apple ticker. My cider comrade Bill Bradshaw always says that when he was commissioned for a photography project about apples and cider making, he found he couldn’t stop afterwards. I now see why. He’s a professional photographer. I’m a bloke who can just about work out how to point a smartphone in the right direction. But the apple demands to be captured and recorded. It’s the centre of still-life art. The artists who create Pomonas – the visual guides to apple varieties – obsess over capturing their beauty far more than they need to for simple identification purposes. If you’re a grower, that’s fascinating. 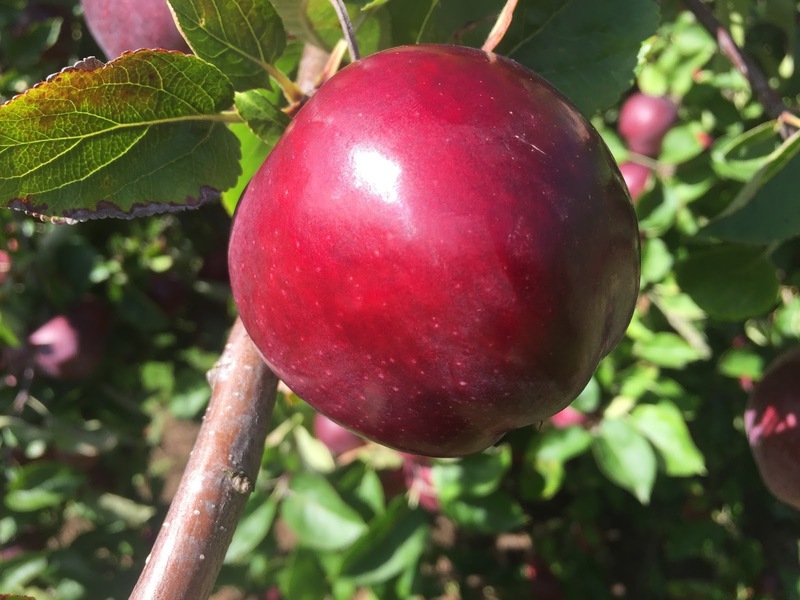 But if you’re a lucky tourist in the orchard at harvest time, you have eyes only for those that have decided this particular soil type, this precise elevation and position, is just right, and have shown their gratitude in the best way they know. My new book The Apple Orchard is out now. This week’s BBC Radio 4 Food Programme is about the book, and is broadcast for the first time on Sunday 9th October at 12.32pm. When I wrote World’s Best Cider in 2013 with Bill, that book required the short, sharp, snappy sections typical of the guide book: 60 words on a cider here, 500 words on that cider maker there, 1000 words on the history, and so on. My books are normally long-form narrative, and I found much of my best writing was on the cutting room floor, so to speak, because it didn’t really belong in the cider book. 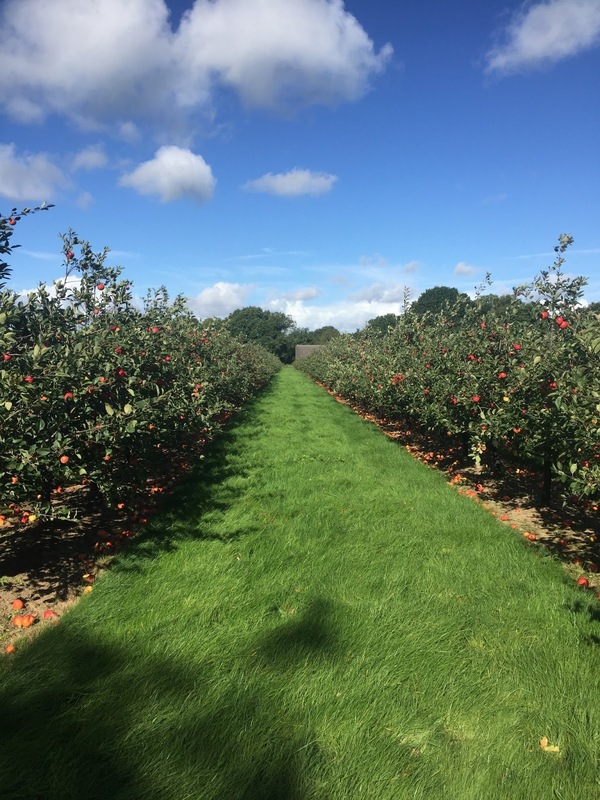 More importantly, the best stuff – or rather, the stuff that interested me the most at any rate – wasn’t about cider at all, but about apples, the people who grow them, the places they’re grown, and especially the history and mythology around them. 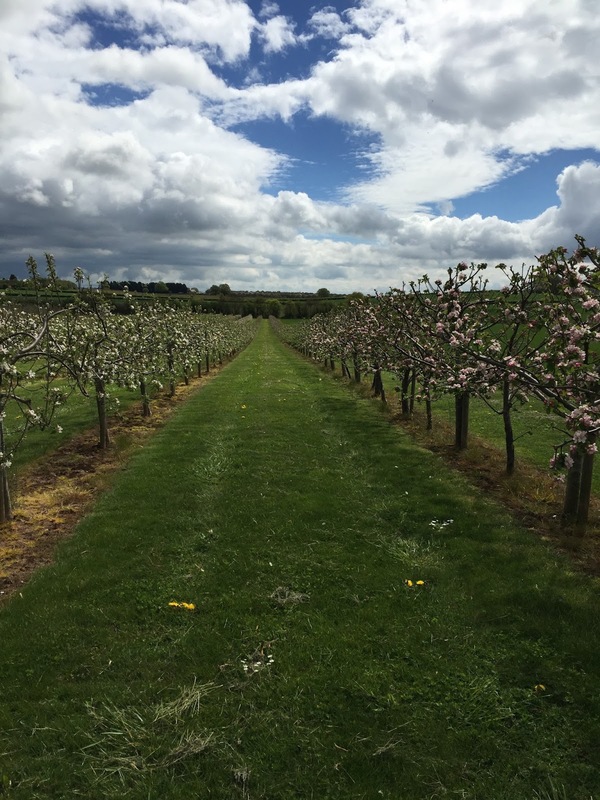 Once we finished researching the cider book, I found myself missing orchards, and desperate to find a way to spend more time in them. So I decided to write about apples themselves. 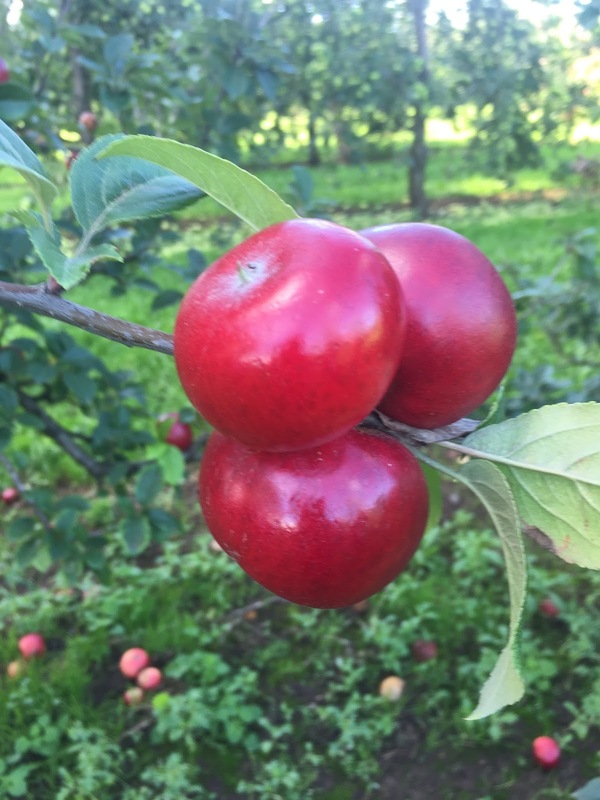 Not just cider apples, but eating apples and dessert apples too. I wanted to trace the history of what we believe to be a quintessentially English fruit through both our real and imagined past. Because I quickly realised that the apple is the the most symbolically laden of any fruit – indeed of any food. Across many different mythologies and religions, in popular culture and phraseology, the apple dominates. And it does so out of all proportion to its actual importance to our diet. Sure, we eat a lot of apples, but if symbolic importance was proportionate to dietary importance, the Beatles would have released their records on the Wheat label, and New York would be affectionately known as The Big Loaf. I lost the whole summer of 2014 to the seemingly simple question of whether the Forbidden Fruit in the Bible was an apple or not. 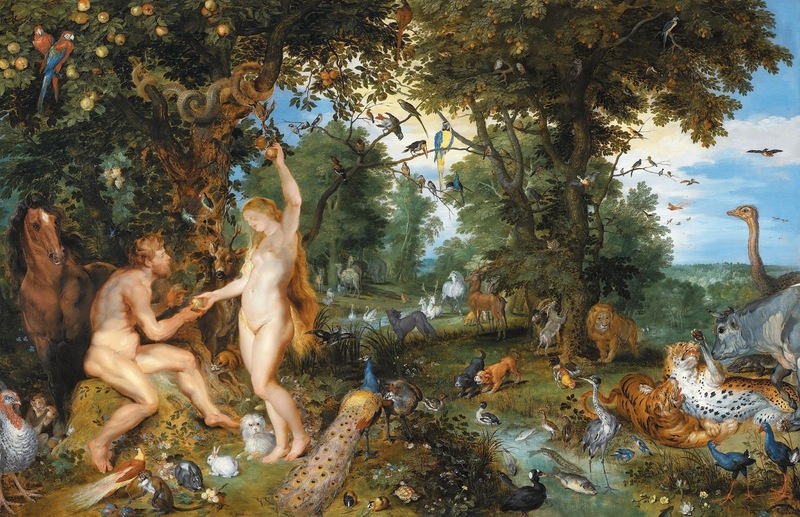 Genesis never specifies what the fruit was, but the Western World has believed it to be an apple since the Middle Ages. And yet when Michelangelo painted the roof of the Sistine Chapel, he clearly depicted it as a fig. This could have been a whole book in itself – I read many on the subject. And they brought me, via the Middle East, South America, The Himalayas, the North Pole, the Happy Isles and the Moon, back round to the birth of modern horticulture. I decided to follow the apple through the course of a year. 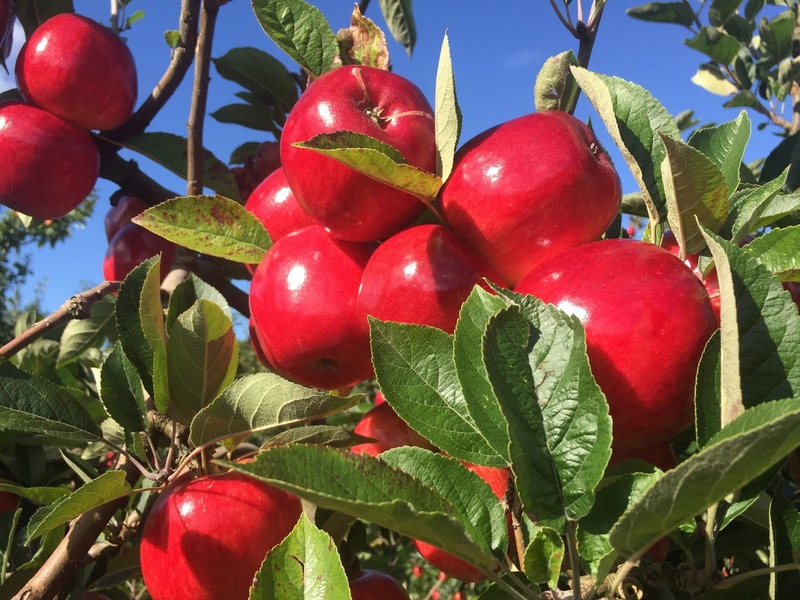 It has its big showtimes at blossom in May and harvest in October, but as with anything in horticulture and agriculture, apple growing is a year-round activity. I learned how to graft and prune fruit trees. 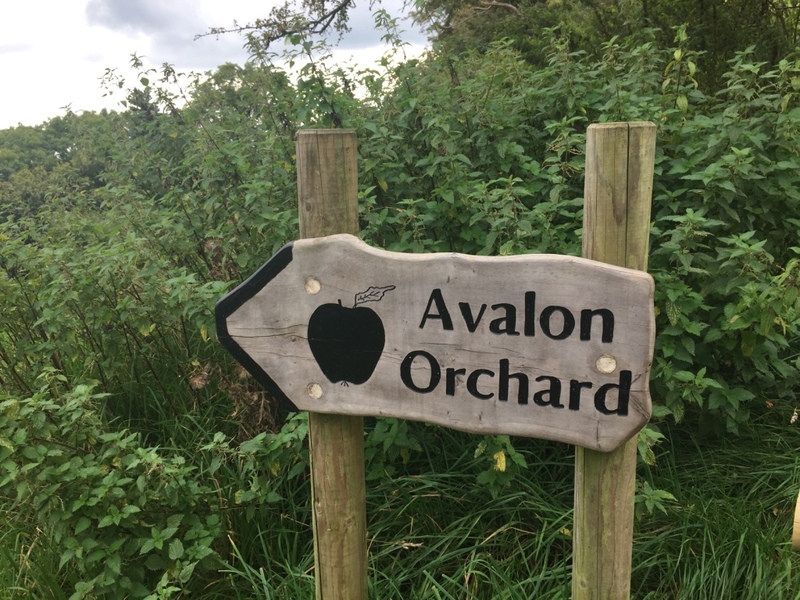 I picked apples in an orchard on the slopes of Glastonbury Tor, beneath which King Arthur sleeps, immortal thanks to the magical apples of Avalon. I also discovered, on my very first orchard visit with Bill, that I’ve developed a very serious allergy to eating apples. Thankfully whatever is causing the problem is left behind in the solid, or ‘pomace,’ when apples are pressed, because I can drink cider, and also, happily I discovered I can drink fresh apple juice. 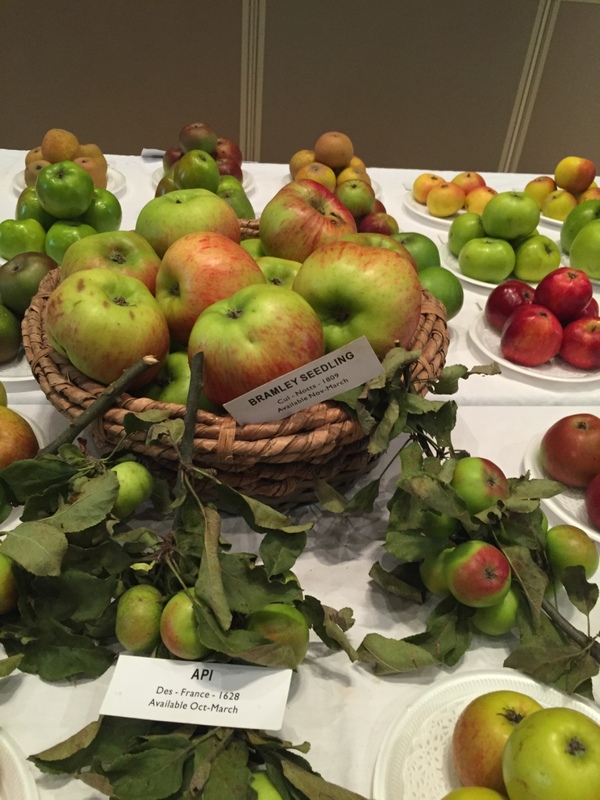 There are 4000 named varieties of apple cultivated in Britain, and a tasting of single variety juices revealed to me the astonishing array of flavours they possess. The book ranges from myth to genetic modification, from wassail to the economics of the modern apple growing industry through meditations on soil. It’s a personal journey though the subject rather than an exhaustive history, but that’s what my new editor at Penguin felt the book needed to be. We cut a lot of stuff out about mythology and history and how this supposedly English fruit was originally born in Kazakhstan, because the book would have been rambling and unfocused and 500 pages long if we’d left it in. But my journey through orchards still gives chance to touch on all these points. I’m delighted to be recording an edition of BBC Radio 4’s Food Programme about the book next week, which is provisionally slated for broadcast on Sunday 9th October. (More details to follow when confirmed.) 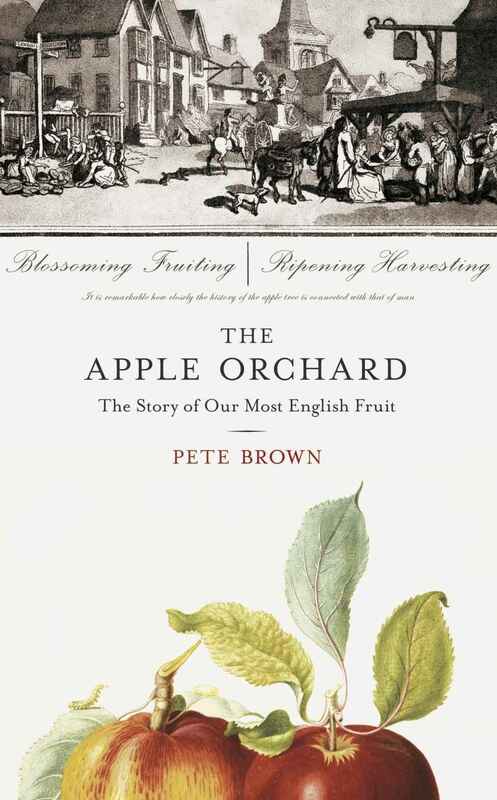 And I’m doubly delighted that BBC Radio 4 have also picked up The Apple Orchard as Book of the Week, to be read out every morning w/c 5th December. I’m nervous about this, my first book that has no link at all to beer or pubs (although cider is made and consumed in the later chapters). 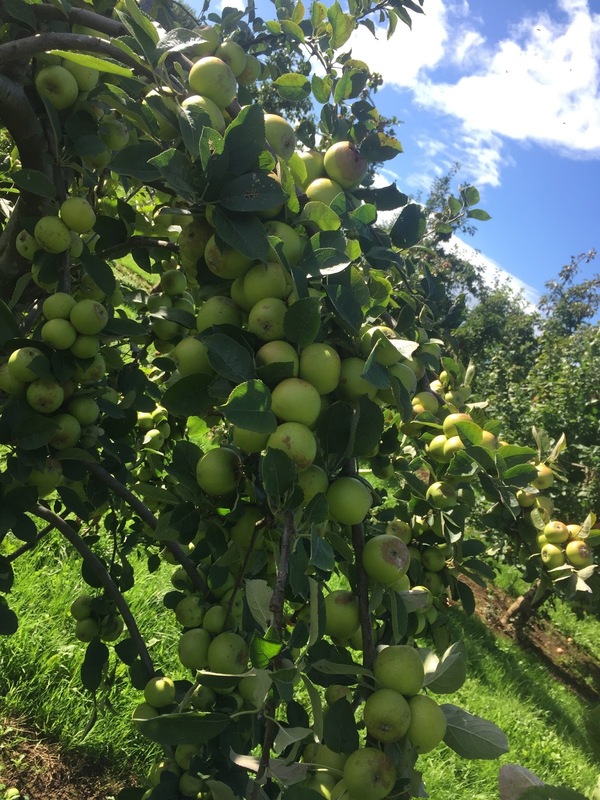 I hope that even if you’ve never really thought that much about apples – as I hadn’t until I first entered an orchard with a notebook in my hand – you’ll find this fascinating and diverting. The apple is a complicated, mysterious treasure hiding in plain sight and trying to look boring, and its history shines a different light on the history of humanity, and what we believe in. The photos in this blog were taken by me primarily as aides memoire while I was writing. the book is not illustrated. * The first of the three books I very stupidly signed up to write simultaneously was The Pub: A Cultural Institution, which was published in mid-August 2016. The third and final book is my journey through the nature of beer – an exploration of hops, barley, yeast and water. I submitted a complete first draft of this to my publisher two weeks ago. This is the one through Unbound, which uses rewards-based crowdfunding to cover publication costs before publishing books in the usual manner. The book is due out in May/June 2017, but subscribers will get their copes as soon as it’s back from the printers, which will probably be a couple of months earlier. Even though the book is fully funded, if you want to get a copy of it before publication as well as other rewards, you can still subscribe here.